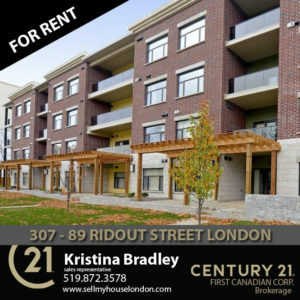 744 sq ft unfurnished unit for rent in 2yr old Wortley Villas featuring a bright spacious kitchen with modern cabinetry, gorgeous granite countertops and stainless steel appliances. 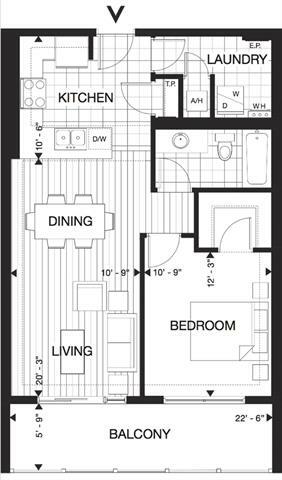 Open concept living and dining room focus is the beautiful laminate flooring leading to a 133 sq foot private balcony. Plush carpeting in the master bedroom is sure to please as are the large windows, walk-in closet and ensuite bathroom. And every renter’s dream-in-suite laundry! Around the clock video security, controlled entry, assigned parking and a fitness facility are also included with the building. 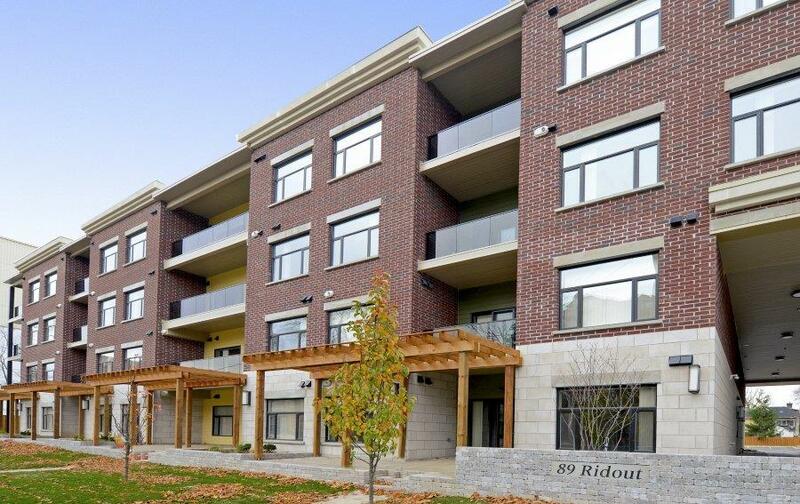 Being so close to downtown while retaining the charm of a diverse mix of suburban streetscapes, walkability, bike-friendly roads, tree-lined streets, thriving business and a strong sense of community, it’s easy to see why Wortley Village has been awarded as the best neighbourhood in Canada. Emp Letter, References, Credit Check, First/Last required. Minimum 1 year lease.